But that Gamespot review is mostly comparing against traditional HHDs, with only passing mention to SSDs, and when it does talk about them it makes speed comparisons with SATA units, not M.2. Optane seems to be at best only a small improvement over SSD, and at worst a disappointment. Have another coffee Steve! Yeah, you're right in that SSDs will be faster than a Optane + spinning rust setup. However, the point of the article was that a 1TB Optane + rust setup was no slouch, and yet still much cheaper than a pure SSD setup of the same capacity. The second point of the article was that this isn't suitable for reinvigorating older PCs, because Optane requires newer Intel CPUs. Also, the spinning rust is more suited to desktops than it the laptops that many people use as their primary computer. To quote the article "the firm cites a Gamespot review to assert that a PC with Optane and a 1TB, 7,200 RPM spinning rust hard was four to eight times faster than a solid state disk at read-heavy tasks data." Gamespot said no such thing. They made only limited comparisons with SATA SSDs, and you can pick up a 500GB SATA drive for not much more than the Optane + 1TB combo. It's not a replacement for SSD. It's a caching solution for keeping HDD relevant - so more a replacement for hybrids. An M2 SSD is still going to be the better option if cash isn't a problem, but Optane+HDD will beat SSD on $/GB hands-down while still being a lot quicker than just HDD. Optane is a massive disappointment, look back at the early hype from Intel, it was supposed to do to flash what flash has done rust. Now we are staring to see products, they are nothing near what was promised. After about a day of benchmarking the Optane Memory review system locked up, and after rebooting the Optane Memory module was not detected and the OS installation was corrupted beyond repair. As pointed out by the reviewer, this isn't completely unknown when testing things, and may just be a case of bad luck. But, it's worth bearing in mind until more real world endurance results come in. for the speeds when it's used with an SSD? Personally I run a couple of 512GB SSDs in a RAID 0 stripe.. tops out at around 1100MB/s and gives me plenty of space for OS and most applications.. On top of that I have a RAID 0 with 2x 2TB SSHD for storage, and a 6TB Western Digital Red for backup. I also have a 60GB SLC SSD which is used for page file and temp files in order to prevent unnecessary wear to the larger SSDs. I find my system rarely even uses the pagefile. I have 16GB of RAM, and the pagefile is set up to be between 16 and 4096 MB by default. It's currently using 62MB, apparently, but I suspect that's mostly because Windows likes to think it's in control as much as anything else. "I'm going to upvote you for the idea about using a smaller ssd for the pagefile"
I'm not. Smaller drives have lower endurance. If you have enough ram pagefile isn't touched anyway. As for Raid0 - it's great if you like your system hand-grenading from time to time but otherwise only use it for caches. "Smaller drives have lower endurance." Surely that's irrelevant if the drive is only used for the page file, though? This way, when his page drive craps out, he just swaps in a new one with no need to shuffle data around. And since he can just use a 64 gig SSD for it, it's cheap, cheerful and avoids wrecking a much more expensive drive with pointless swap ops. but if we have to run Win-10-nic to use it, then it's just not worth it (to me anyway). Remember, Micro-shaft will not support new tech with Windows 7. I also need very fast sustained write speeds for my planetary camera, which can easily sustain 450 MB/s , maxing out its USB3 connection. 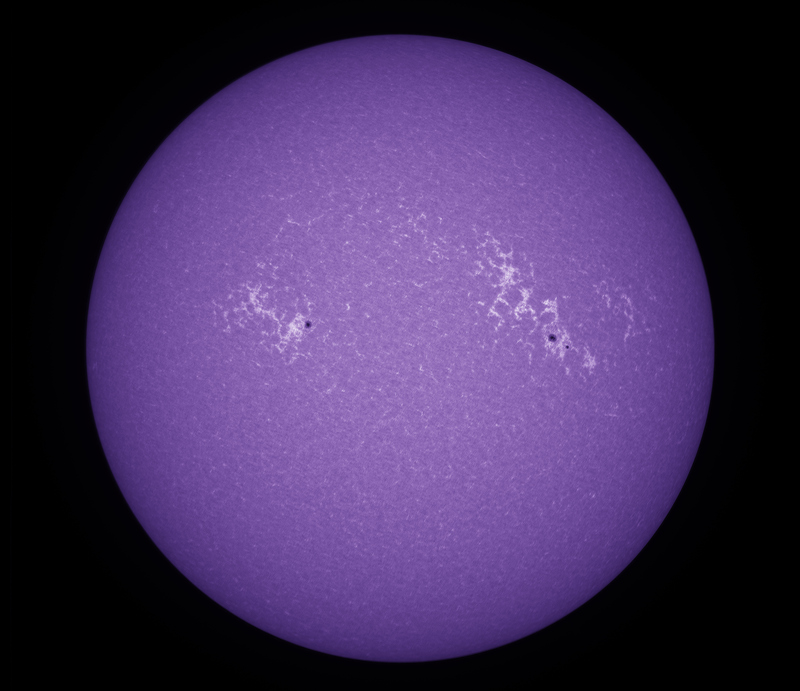 For solar images like this, I readily grab 20GB of data. Only on new Intel processors? bcache has been doing things like that with big disk / small SSD setups quite nicely ... on any processor the kernel runs on and with any type or brand of block device. I use an NVM card as the cache device, which has of course zero wear to really speed up a DB, and with SSDs it gives quite a nice KVM environment. So, what's this all about with WIndows only and newest Intel CPUs only? Re: Only on new Intel processors? What's new is the faster-than-SSD cheaper-than-DRAM non-volatile memory called Optane. How it might come to be used is the point under discussion in the article. Cheers! If you are going to be spending the money on a latest (7th gen) model CPU then you probably have money in the budget for a good NVMe M.2 SSD (or at least a good SATA SSD). The Hybrid unit idea is a re-hash from a couple years ago, and offers all the same pitfalls as previously. Cost savings of maybe $100? Depends on your workload. Flash storage is notorious for poor performance with small random access and low queue depths. NVMe doesn't fix that, I saw microscopic change moving from SATA SSD to fast MVMe M2. This Optane incarnation is good at those access patterns, but doesn't improve with larger reads. For some workloads Optane could crush any NVMe flash device (for now). Just can't imagine what they are because the drivers aren't likely to actually cache data files. (4kB random r/w) "Again, Optane really eclipses the standalone hard drive here. Whereas the HDD reached random read and write speeds of .5MB/s and 1.7MB/s, respectively, Optane averaged 126.3 MB/s and 196.8 MB/s. Those are orders of magnitude faster performances." This really is a solution in search of a problem that was solved years ago. If this is all Optane is good for then Flash will continue to eat its lunch. Now, what if someone sets up a bcache with Optane+NVMe drive? Worthwhile or a pile of fetid dingo kidneys? Yeah, the latency also improves not going through SATA, but again if you need latency measured in microseconds, using a fast cache on a hard drive is very much the wrong approach no matter how fast that cache is. I think you mean 600 MB/sec. SATA can't chug half a terabyte a second.